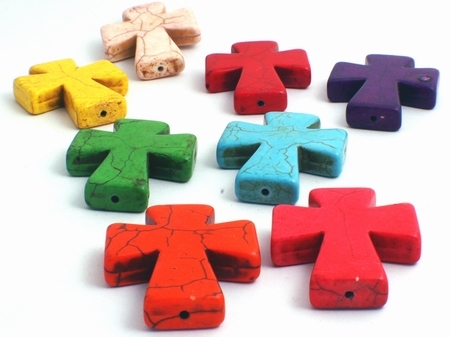 Price is PER cross pendant - ideal as a focal bead for a necklace, or earrings. Measures a large 35mm x 29mm x 7mm - drilled from-top-to-bottom ready to thread. You MUST select colour from above drop down box (otherwise we choose for you). To order different colours - order each colour at a time. Dyed turquoise, but colour fixted.